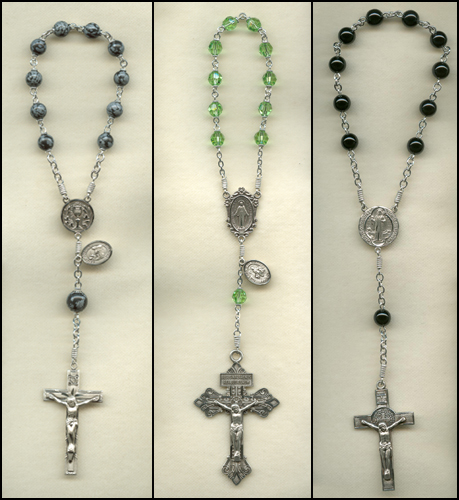 You can build an almost unlimited variety of custom 1 decade rosaries through our Build a custom rosary feature. Choose the "1-decade" rosary option when prompted to do so, and the prices will change accordingly. 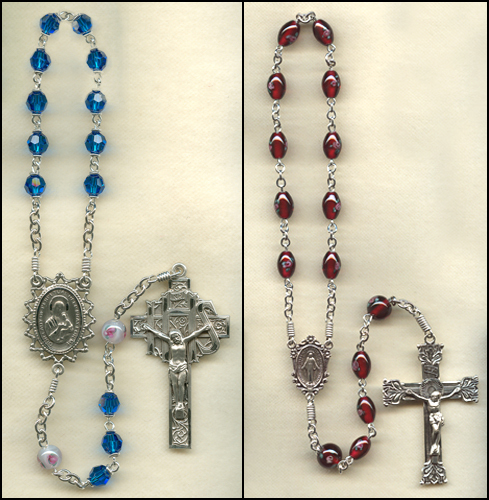 A 1-decade rosary can be blessed, but does not carry the same indulgences as a 5-decade rosary. To receive all the indulgences of saying the rosary you must be carrying a 5-decade rosary on your person; it is not necessary to actually finger the beads. Therefore we recommend carrying a blessed 5-decade rosary even when using a 1-decade rosary for counting the prayers.